Every few years or so, news breaks about a new bug that can cause iPhones and Macs to crash. 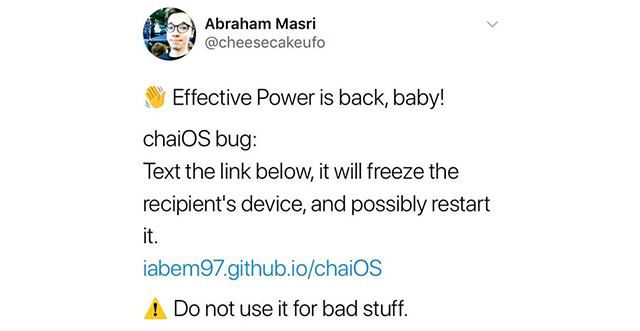 In 2013, it was discovered a string of Arabic characters could kill applications in OS X 10.8 and iOS 6, and then in 2015, the "Effective Power" bug allowed anyone to remotely reboot iPhones -- again by using a special sequence of characters. Here we are in 2018, and it’s the same old same old. Abraham Masri has shared a link on Twitter that can freeze a recipient’s device, and possibly restart it, when sent in a text message. The chaiOS bug, as it’s been dubbed, links to a page of code on GitHub. 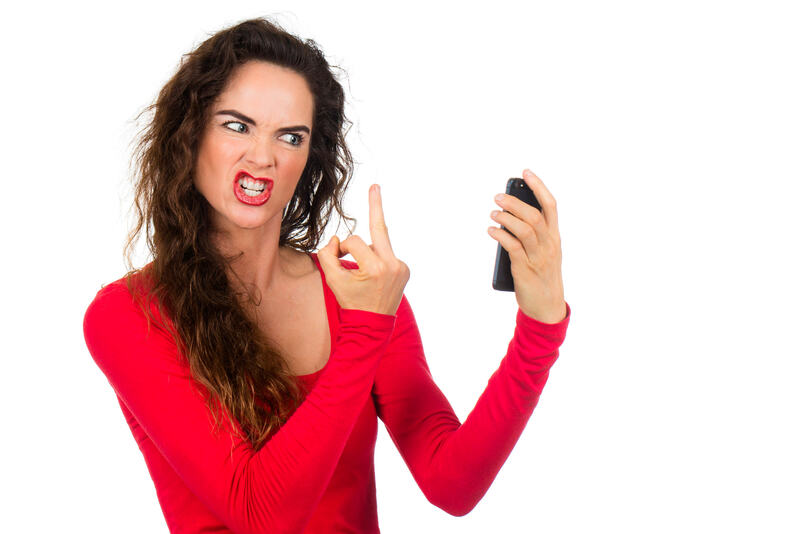 When the recipient clicks on the link, Apple’s Messages app freaks out, and ultimately crashes. Bugs like this are a nuisance rather than a genuine worry, and Apple does tend to roll out updates for such issues pretty quickly, so there’s a good chance it will be fixed in the near future. In the meantime, avoid opening any dodgy looking links and you should be fine.